December 25th is the day we celebrate the birth of Jesus Christ into this world — the true meaning of Christmas. December 25th is also the target date for when all things Christmas need to be accomplished. Presents must be wrapped and under the tree, goodies need to be baked, the house needs to be beautifully decorated, and so much more needs doing. The frenzy of the Christmas season often leaves us distracted and disoriented. 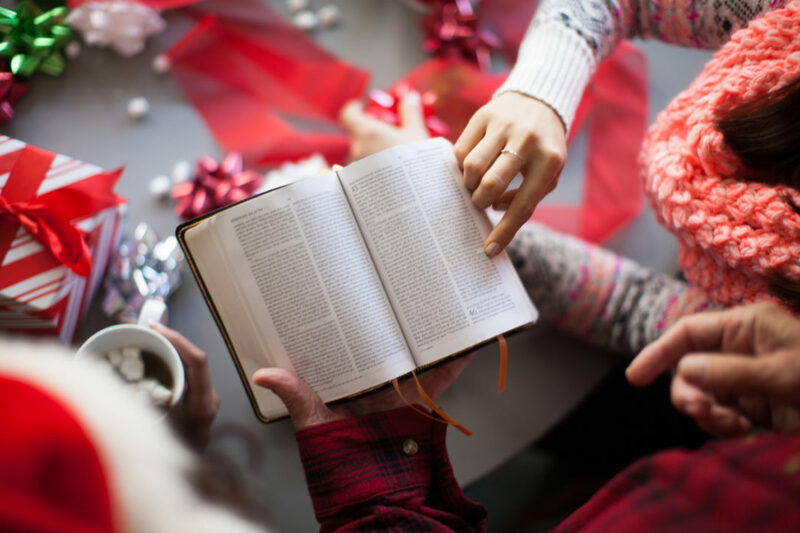 So, your friends at Today have gathered some of our best Christmas devotions to help you stay focused on the season’s true meaning. If at any time during this sometimes harried season you want to step back and discover again why we really celebrate Christmas, take a moment with these devotions and be refreshed, refocused, and renewed again on what Christmas is all about. Today wishes you a very blessed Christmas! When I was a child, I recited a poem at a Sunday School Christmas program with the title, “Ready for Christmas?” I still remember the turquoise dress I wore with white polka dots all over it. I also remember being very nervous—I was the only one on stage at the time. When my children were young, they spent a lot of time poring over the Sears or JC Penney Christmas catalogues, circling exactly what they wanted for Christmas. They made sure to show us, their parents, what they had circled, so we would get them just the right thing. The Christmas season is filled with white lights, glad tidings, joyful music, and—oh, let’s be real; the season is filled with plain old busyness! As December 25th approaches, we fall prey to that seasonal bug of busyness. With all the decorating, shopping, sorting, baking, wrapping, and attending Christmas performances and activities—our schedules are never more full.